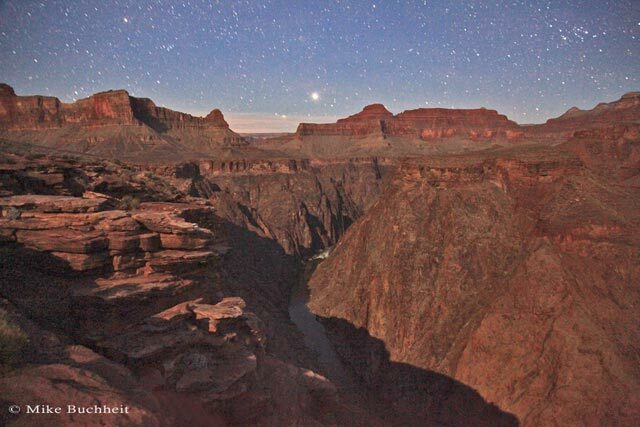 Stargazing has always been a mesmerizing experience for park visitors both above and below the rim. The high elevation, low humidity, and limited man-made light pollution combine to make celestial viewing in northern Arizona a real treat. Professional and amateur astronomers have long capitalized on these favorable conditions, including those that descend on the park for the annual Grand Canyon Star Party. The June 21-28 event will take place on both rims, and is sponsored by the Tucson Amateur Astronomy Association and the Saguaro Astronomy Club of Phoenix, with support from the National Park Service and Grand Canyon Association.